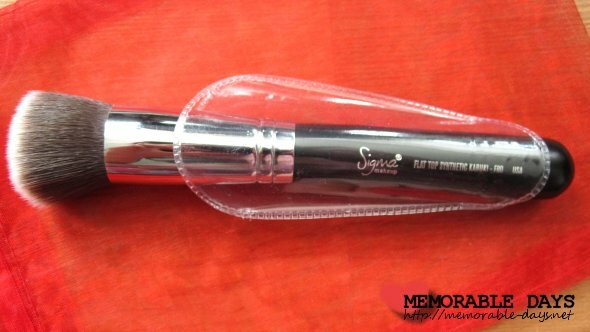 Review: Sigma F80 – Flat Top Synthetic Kabuki | Memorable Days : Beauty Blog - Korean Beauty, European, American Product Reviews. Can you still remember that I joined the Sigma incentive program? If you can't remember it anymore, you can go to my previous blogpost where you can find more information about it. In that blogpost I also explained that you're able to apply for a FREE Sigma brush with just a few clicks ^___^ SO AWESOME!! 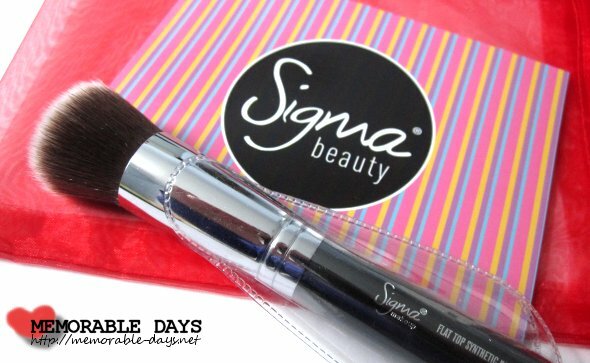 Because I joined that program, Sigma Beauty had send me a Sigma brush to review. It's the F80 – Flat Top Synthetic Kabuki. This is my very first Sigma brush, I've been using it for a month now and I'm very satisfied with it. The F80 Sigma brush is from their Synthetic brush line for high definition, flawless makeup application. 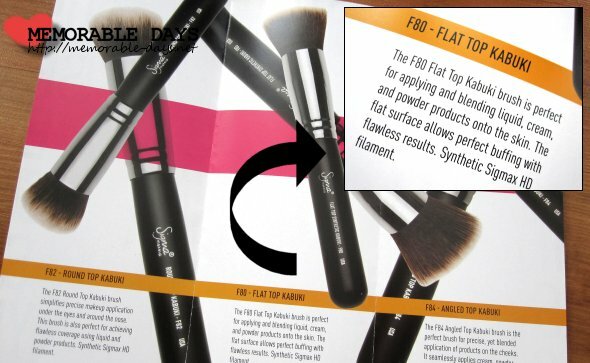 The F80 Flat Top Kabuki brush is perfect for applying and blending liquid, cream, and powder products onto the skin, without absorption into the fibers of the brush. The flat surface allows perfect buffing with flawless results. Synthetic Sigmax HD filament. The price of this brush is $16 and can be purchased at sigmabeauty.com. Believe me the price for this brush is totally worth it! It took around a month until I received it. I was really surprised how well the packaging was. I expected the brush in an envelope because of the size, but it came into a small white box with bubble wrap in it. The item came in a red pouch and there were a few things inside it: The F80 Sigma brush of course, a small card dedicated to me, a small book with the description of their Synthetic Brush Line and a small book about the affiliate program. This is how the brush looks like (see pictures below). The look of this brush is very professional, the name of the brush is printed on the handle and it also comes with a brush protector/cover. The large silver ferrule ensures that the bristles are tightly in place. Also the brush has a white flat top, hence the name. The bristles of this brush are extremely soft and it's very gentle on my skin. I can just see and feel that it's a high quality brush, the handle is even great to work with. I TOTALLY LOVE IT ♥! In the description it says that this brush has more purposes. This brush can be used for applying and blending liquid, cream AND powder products. I tested it out with my Missha M Perfect Cover BB cream #23 that I'm using every day. In the picture below you can see how the brush looks like when it's unused and used. As you can see, the bristles are still separate when it's used, it won't stick to eachother. I applied 5 dots of BB cream on my face and blended it out with the brush. This brush is absolutely PERFECT for liquid foundation =D! 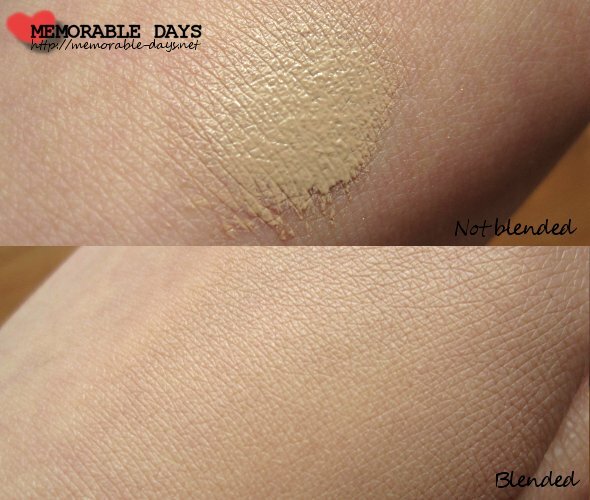 No streaky marks were visible, it was nicely blended and it gave me a flawless looking skin. I even used a little pressure while using the brush, even then, all the bristles stayed intact. Most brushes would shed but this one didn't at all! I applied a bit of BB cream on my hand and blended it with the F80 Flat top kabuki to show you the effect (see picture below). It's looking flawless right ^___^?! I washed the brush after I used it and all the bristles were still there, surprisingly not even one came off! Another good thing about this brush is that it came with a brush cover. After I washed the brush, I slipped the cover on so that the bristles could dry and remain in that shape. It's a good way of protecting the brush from dust before the next use ;). ♥ The bristles are VERY soft and gentle on the skin. ♥ Can be used for liquid, cream and powder products (multi-purpose). I haven't used it to apply powder products, so I can't judge about that. However, I highly recommend this brush: F90 Flat top synthetic kabuki to anyone who is looking for a liquid foundation brush. It really will give you a flawless skin ^__^! I'm extremely happy that I received this brush and I will continue to use it until it will fall apart lol xD. Would you like to have this flat top kabuki as well? 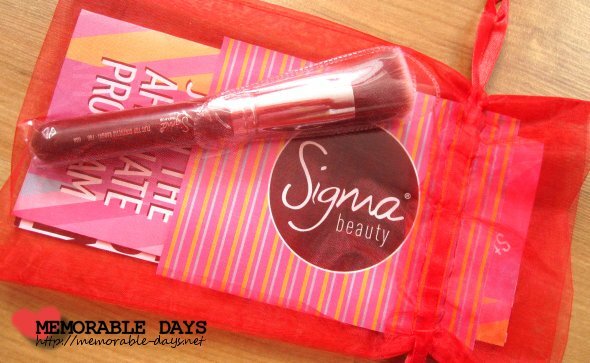 You can purchase it online at SigmaBeauty.com. GET 10% OFF BY USING THE DISCOUNT CODE: ALL2011! 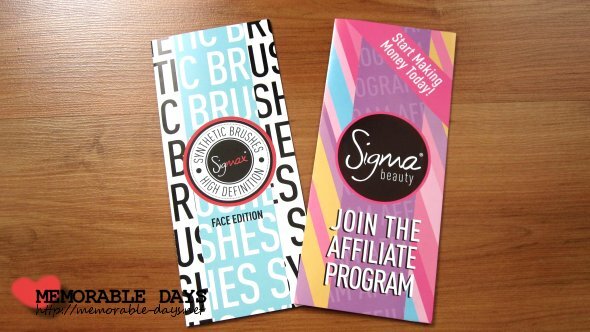 Do you use Sigma brushes? Which one is your favorite? @deerest, I don't think it's a big con that you're only able to order it online though. They ship it worldwide so everybody is able to get it :). And yeah i agree that it takes more time to try because of the dense hair. Forgot to put that up xD... thanks! Vicky very kindly gave me her extra F80! I really like it for blending out liquid foundation as well! It does a much better job than the Mac 187 I was using before! Ik heb nognooit een sigma brush geprobeerd maar het lijken me hele fijn kwasten! I'm so glad you love this brush too! thanks for the comment :) the brush seems very cool :o now i want one too! I absolutely LOVE sigma brushes and sigma customer care, dear Elisa...the packaging in whic the brushes coming is perfect, and Tara is lovely! Choose the product that you want to buy and fill in the code. HOWEVER, usually the code only works for a month! So there probably will be a different discount code next month, but you can still try the code: ALL2011 . I will make sure to post the new code next month on my facebook nd twitter ^-^♥. And btw. 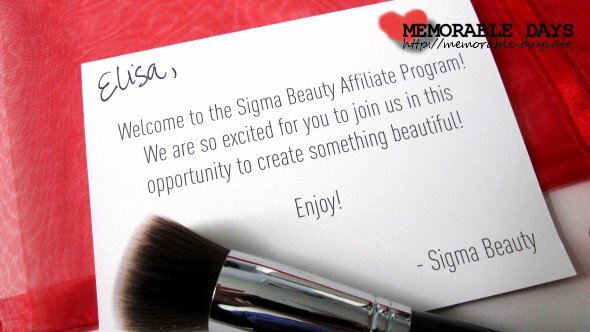 make sure to click on the sigma beauty banner on my blog at the right sidebar before purchasing it to get a free gift if you purchase $30 or more ;). I have read lots of blog post/youtube videos, it seems that everyone loves this brush =D!